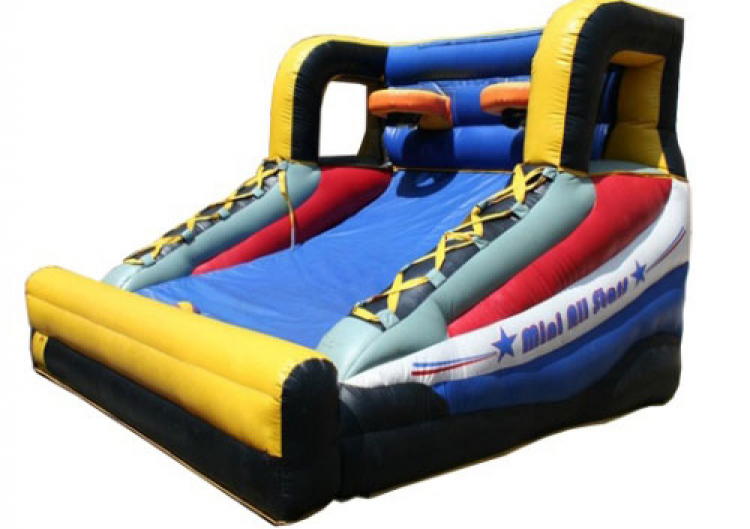 Basketball Mini All-Star Inflatable - Jumpin Jiminy - Make Your Events Awesome. Inflated basketball fun for two players! Jumpin' Jiminy has one of the largest selections of carnival games in Oklahoma! Call today to book your party.